Aysha Bell, a Career Services adviser at Grand Canyon University, knows the difference between working for a paycheck and doing something you’re passionate about. “I bumped around for a long time before I found my love of career guidance and vocational coaching. In 2007 I began working with a company doing re-employment workshops and knew right away I had found my passion,” Bell said. Four years ago, that passion led her to GCU and helping students discover and map out careers. This year, nearly nine years of work in the field culminated in her first book, one that helps others find the passion in their career more quickly than the 15 years it took to find hers. “When you seek positions for the purpose of a paycheck and you really have no fulfillment, you are, in essence, broke,” she writes in “I.D.entifying Your I.D.eal Career,” available on Amazon. Bell recently published the 22-page paperback with the blessing of Jacqueline Smith, executive director of GCU’s Career Services. “I.D.entifying Your I.D.eal Career” is more workbook than textbook. Readers begin the book by signing a commitment, a promise to finish the seven steps. Bell also recommends recruiting an accountability partner to help stay on track. Other steps involve defining strengths, investigating careers, building connections, setting goals and creating a plan to achieve them. Bell, who holds a master’s degree from GCU in Christian Studies, recommends against rushing through the steps. “Go through book slowly, carefully and have a partner to hold you accountable,” she said. The incremental steps are aimed to help those entering the job market or making mid-career changes. 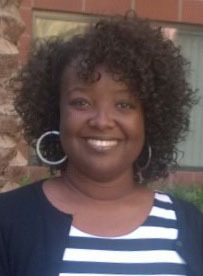 Bell wrote the book in 2007, the same year she obtained her life coach certification from Abundant Life Christian College, but then put it aside. This year, she dusted it off and published the book in July in cooperation with I.D.entity, a Phoenix-based start-up that specializes in career coaching, personal development and spiritual growth. Bell, who lives in Phoenix with her husband and two daughters, plans on writing additional books on topics such as how to network and interview. Smith predicts Bell will accomplish her goal. “I knew the day I interviewed Aysha I wanted her on my team,” said Smith, who hired Bell three years ago. “Her experience and passion to help students find their purpose is second to none. She works with purpose and has an incredible bright future.